Inspired by Frida Kahlo’s iconic colourful self-portraits, especially the ones with the flowers in her hair. 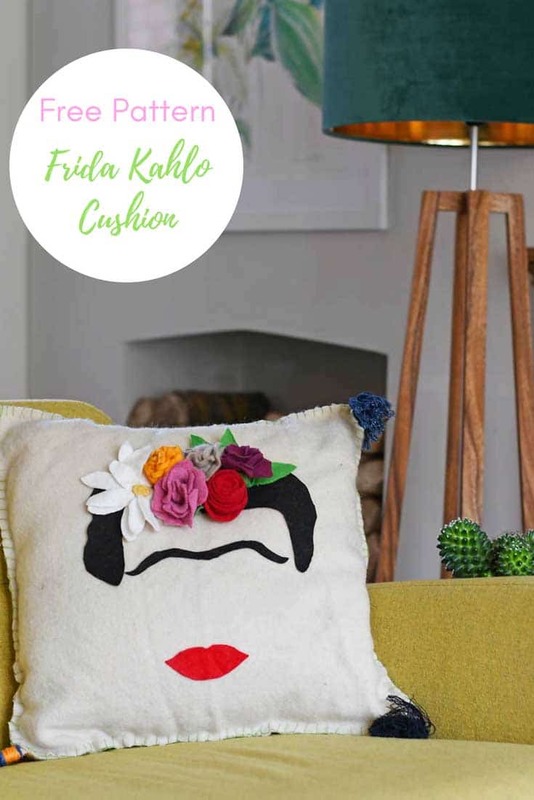 I created this fabulous floral Felt Frida Kahlo cushion. I love to make faux flowers. Whether it’s out of paper like with the gorgeous pineapple paper flower wall decoration or my upcycled fabric flowers or even beautiful map roses. As these flowers were going to be for a cushion/pillow I decided to use felted wool to make them. So they would be nice and soft. 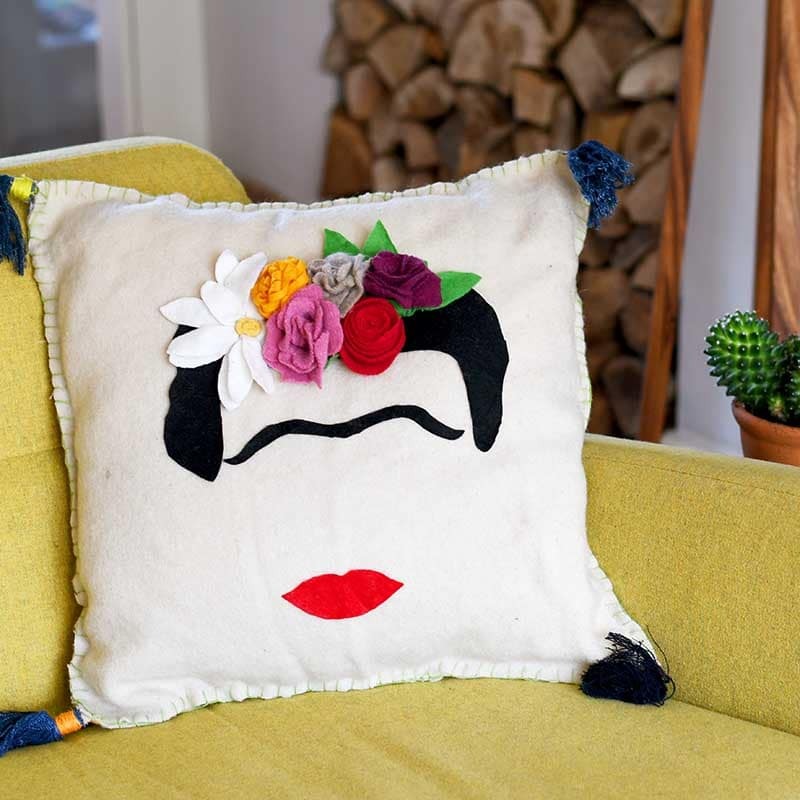 The Frida Kahlo cushion was made from mainly repurposed materials. I used an old cream woollen camp blanket as my cushion/pillow cover. 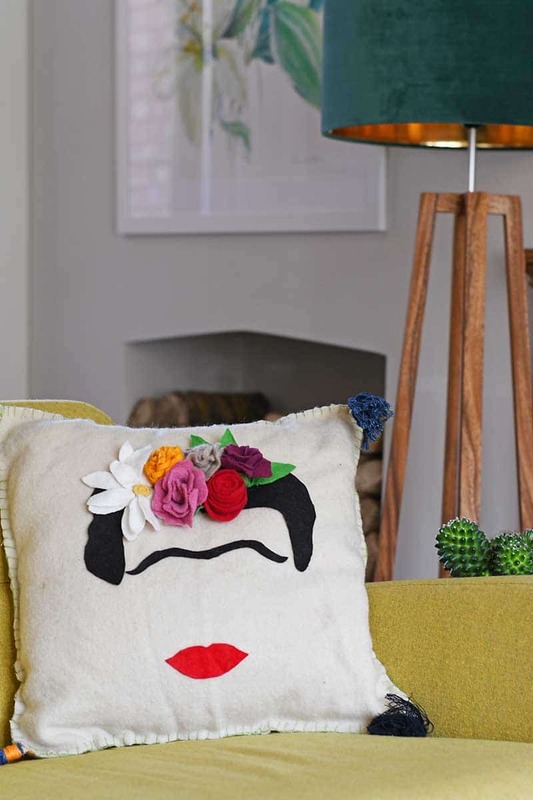 You can however just use any old plain cream cushion cover. 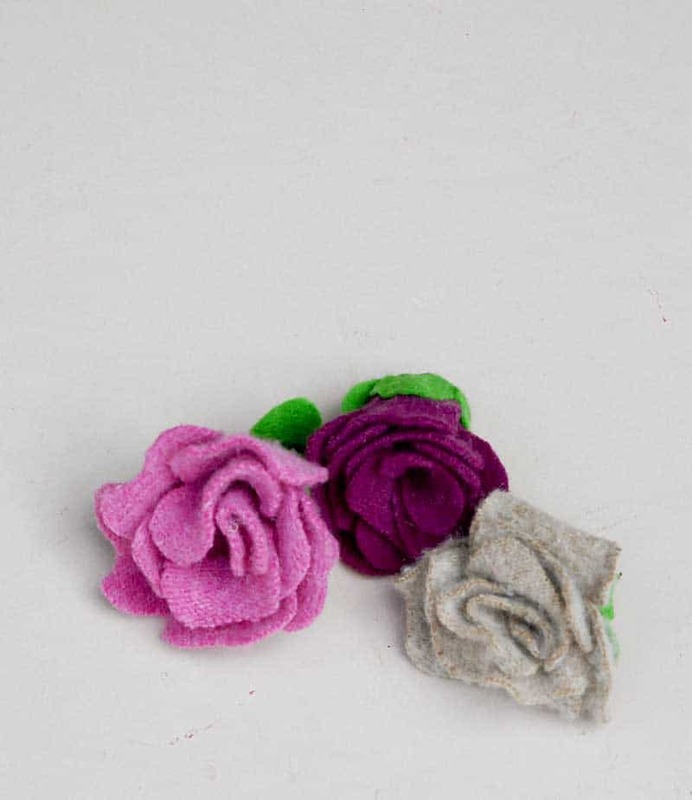 The flowers were made from my stash of sweater felt scraps from my previous repurposed old wool sweater crafts. I did use a small bit of craft felt as well. I’ll be going to the Frida Kahlo exhibition at the V&A soon where I should hopefully get some more Frida Kahlo inspiration. I can’t wait! Old wool blanket to make a cushion cover – Or you can just use an exsisting plain pillow cover approx 50cm X 50cm , felt or linen. 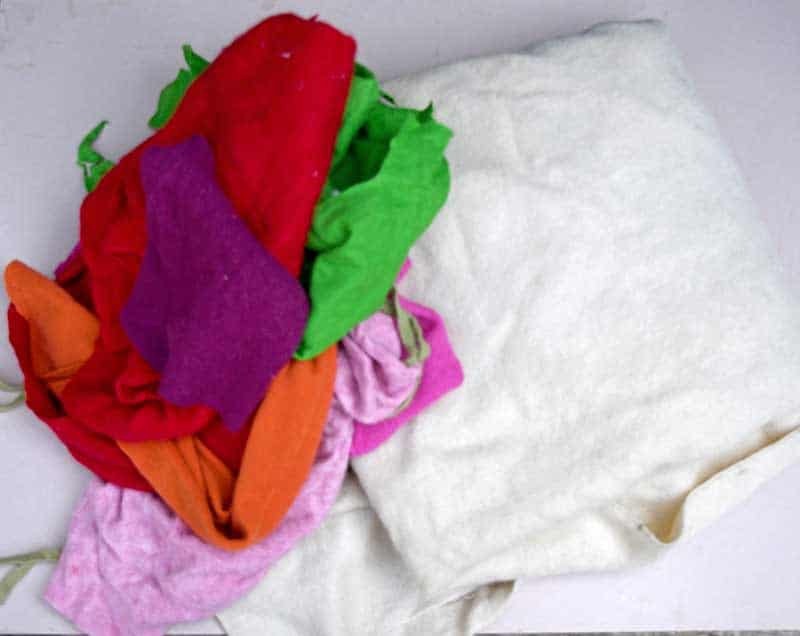 Sweater felt or craft felt in various colours. You will need black for the hair and eyebrows and red for the lips. 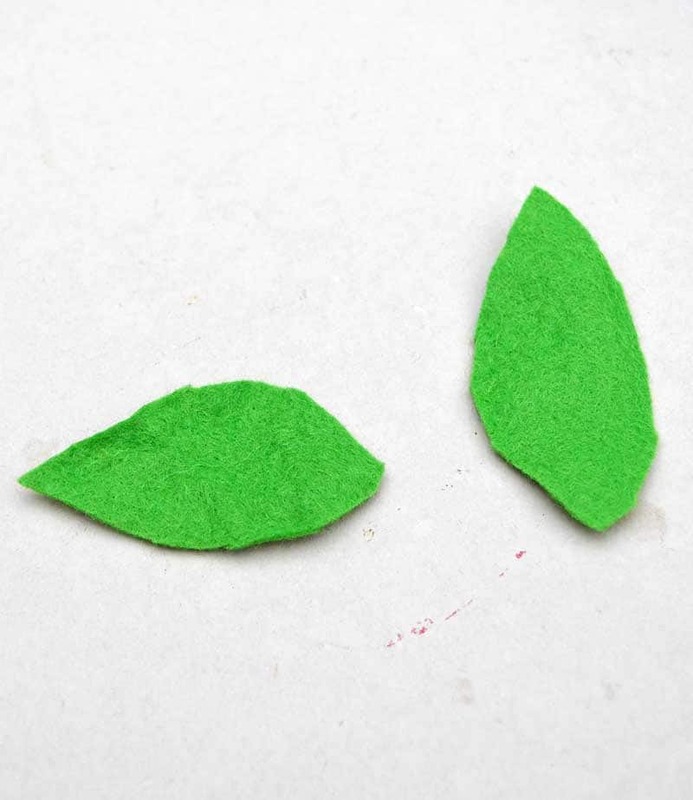 Green for the leaves and then other colours for the flowers you would like to make. I used mainly scraps of felted sweater wool left over from other crafts. I did, however, supplement this with some black craft felt for the hairpiece as there was no black in my stash. 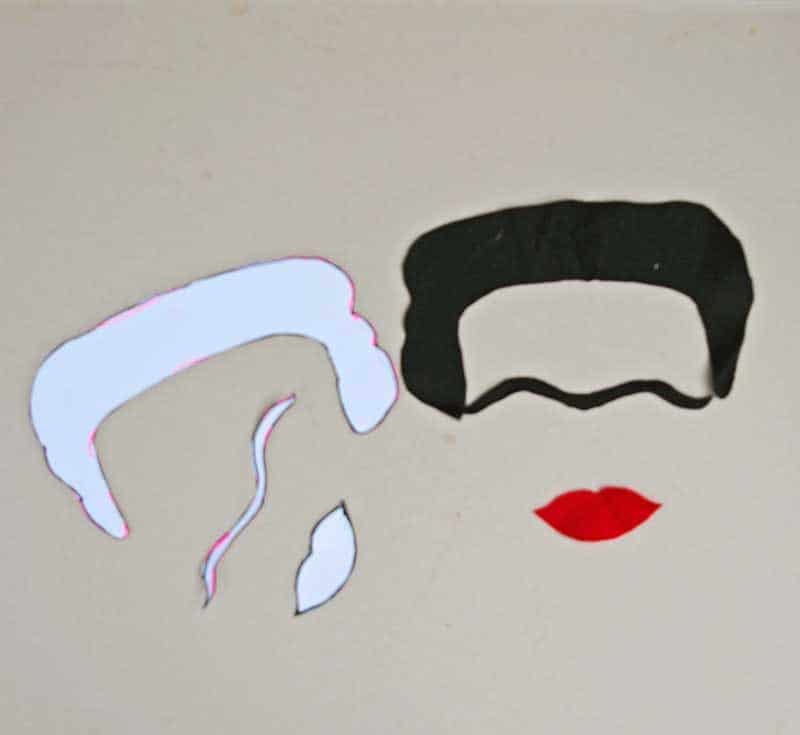 Frida Kahlo face template – You can download mine here. 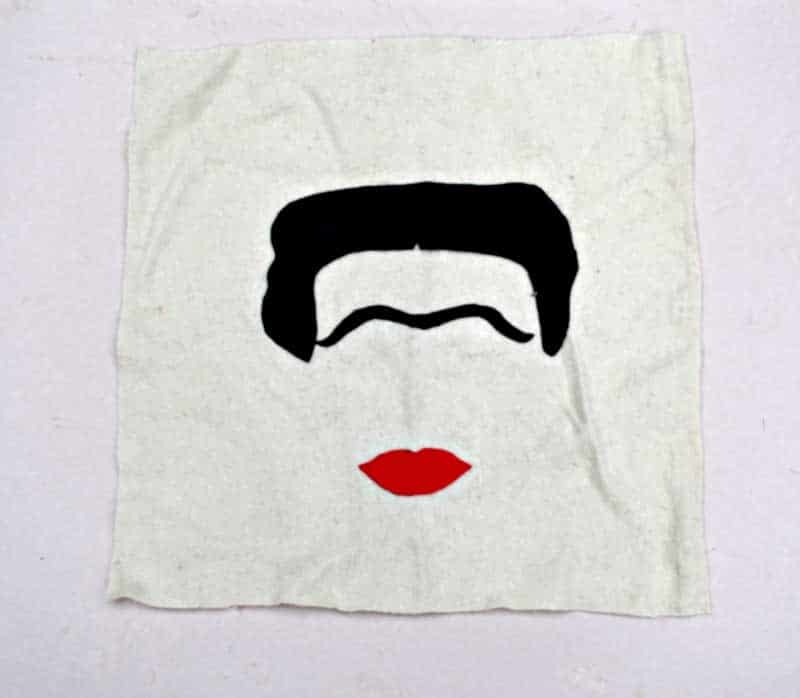 Print off the template for the Frida Kahlo, hair, eyebrows and lips. Using the template cut out the hair and eyebrows in black felt. Cut the lips out in red felt. Cut the wool blanket into 2 x 50cm squares. (If using an existing cushion cover you can miss this bit). 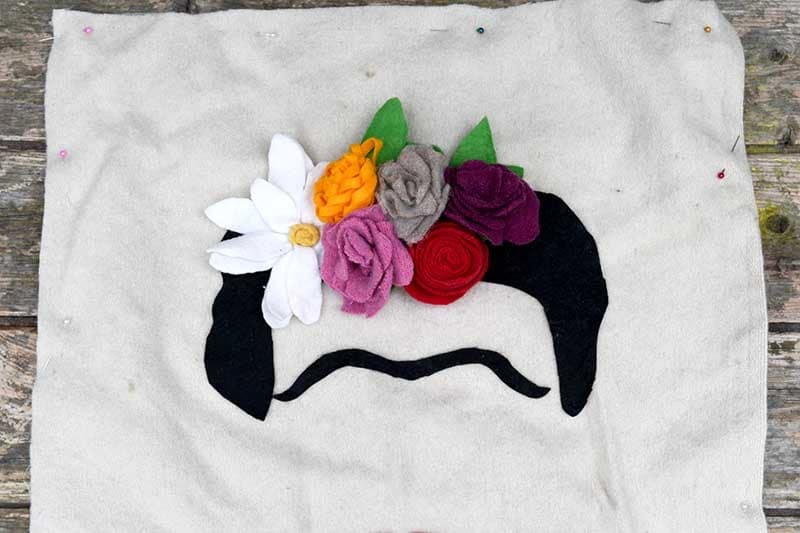 Attach the Frida Kahlo felt template pieces to the one of the blanket squares (or cushion cover). You can either use fabric glue to stick the felt pieces to the fabric or hand sew them. It’s up to you! This is the fun part making the felt flowers for the Frida Kahlo headpiece. Make several flowers, such as a white daisy, a yellow carnation and several different coloured roses. The pink, purple and biege flowers were made using the same method I used for my upcycled denim wreath with felt roses. 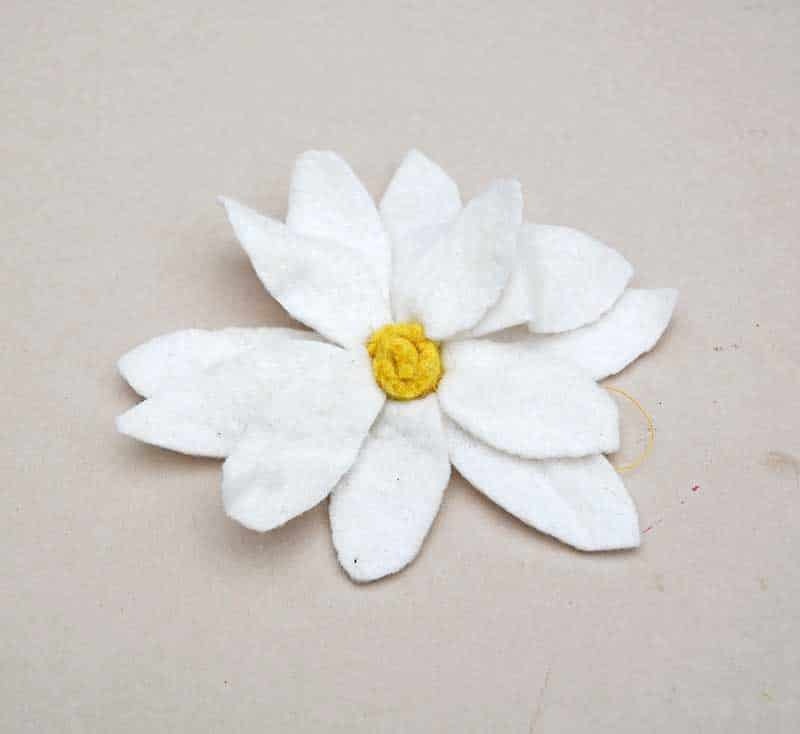 However, the main difference was that this time the petals were sewn together rather than glued. I thought thread would be stronger than glue. Also I did not add a stem. The yellow carnation was made the same way as I made this purple succulent for the repurposed felt succulent garden. The only differnce being the colour. 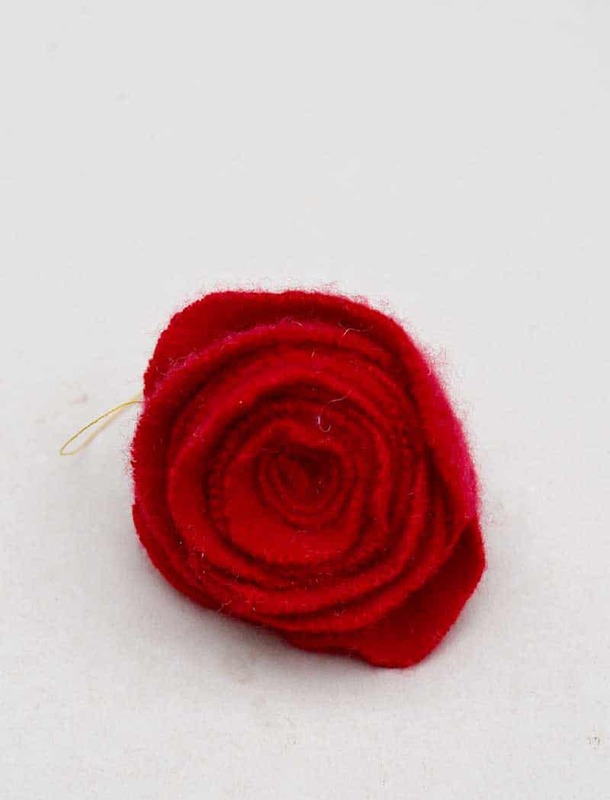 For the rolled red rose, I simple cut a square of red felt into a spiral. This was then rolled and stitched into shape just like this simple tutorial here. Finally to complete the foliage for the Frida Kahlo floral headpiece I cut out some simple felt green leaf shapes. 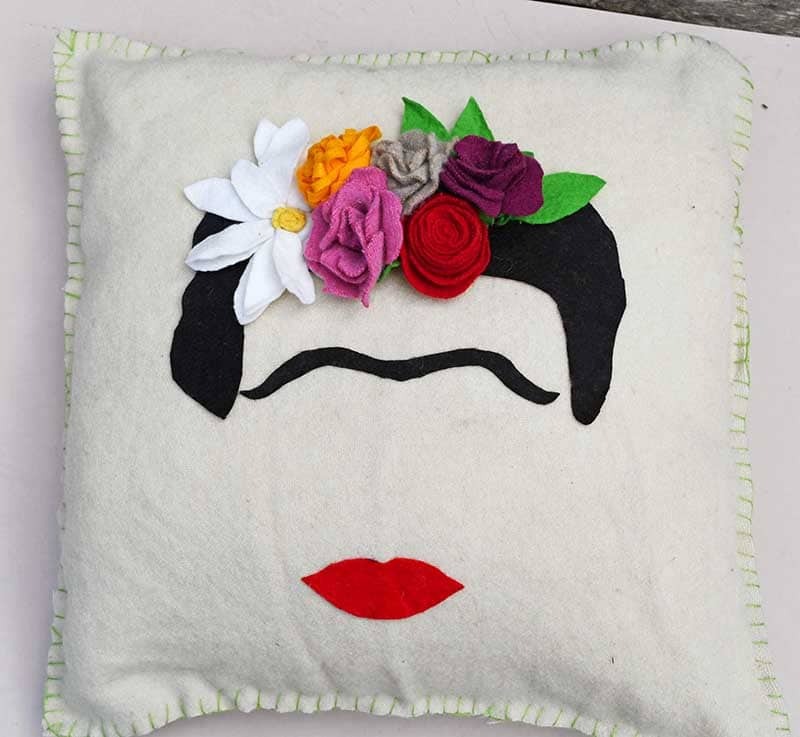 Once all the felt flowers and leaves were made, I pinned them to the top of the black felt hair on the cushion. When I was happy with the layout I then stitched these flowers to the pillow cover. Finally, the back of the cushion cover was pinned to the front and the sides stitched together using a blanket stitch. (If you aren’t sure about blanket stitch there is a tutorial on this Christmas felt letters tutorial). I used a lovely birght green embroidery thread that matched the colour of the leaves in the headress to stitch the cushion together. Don’t forget to put the cushion pad inside the cover before stitching the pillow shut. If you want a removable cushion cover you can always make an envelope back (like I did with this supersized cross stitch cushion) to the cushion or add a zip. 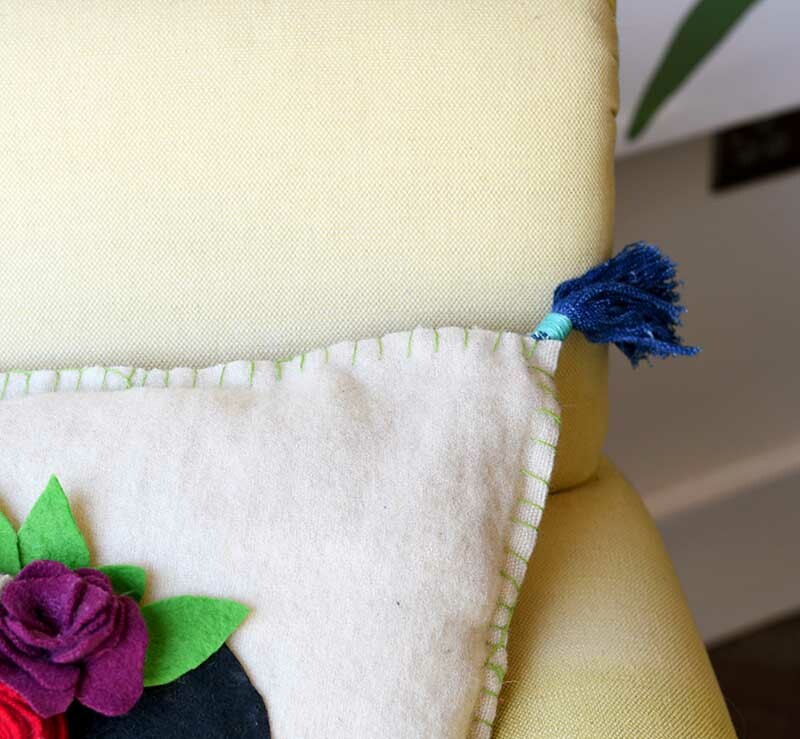 To finish off the colourful felt flower pillow I added some of my handmade denim tassels. I stitched one to each corner of the cushion. 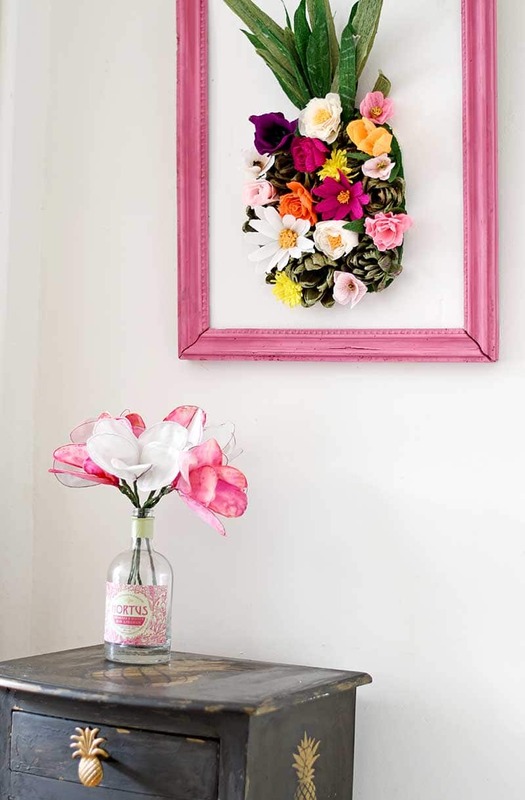 If like me you love to decorate your home with flowers, then you might like this pineapple paper flower wall decoration. For more fabulous free sewing patterns for the home visit allfreesewing.com. 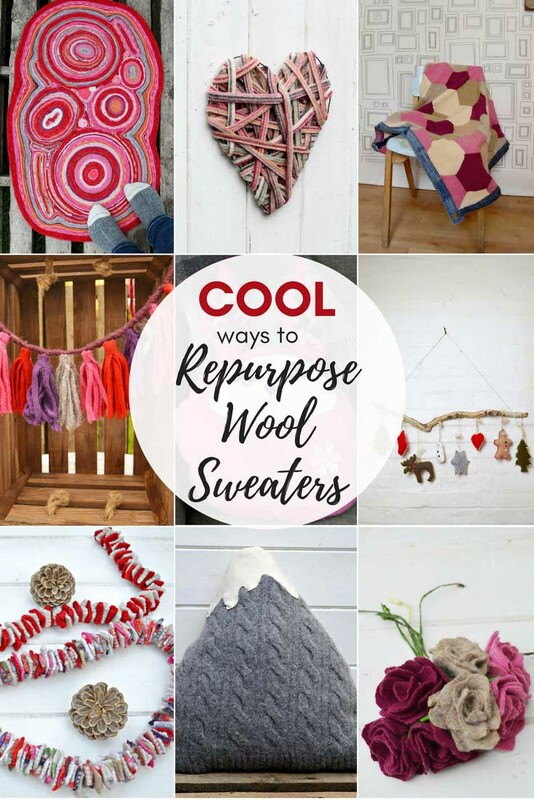 Don’t forget to check out my other recycled sweater felt crafts. Seriously LOVE it, Claire, another amazing creation! 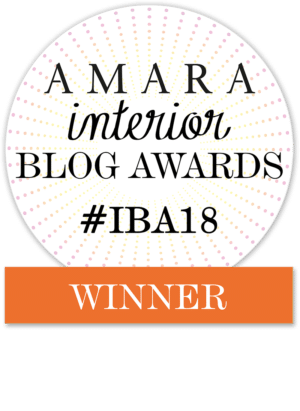 Thanks so much for sharing on craft schooling sunday a whole six weeks ago…..I’m back and the party is resuming so hope to see you there! Hope you had a good summer. Thank you. Thank you so much, Pam. Look forward to seeing the feature. Thank you so much Alice. I look forward to seeing the feature. Claire, I just adore this pillow. Your humor and whimsy show through in so many of your original projects. So so cute! What a cute idea! I’m obsessed! So cute, Claire! Thanks for sharing at Vintage Charm! Beautiful pattern. 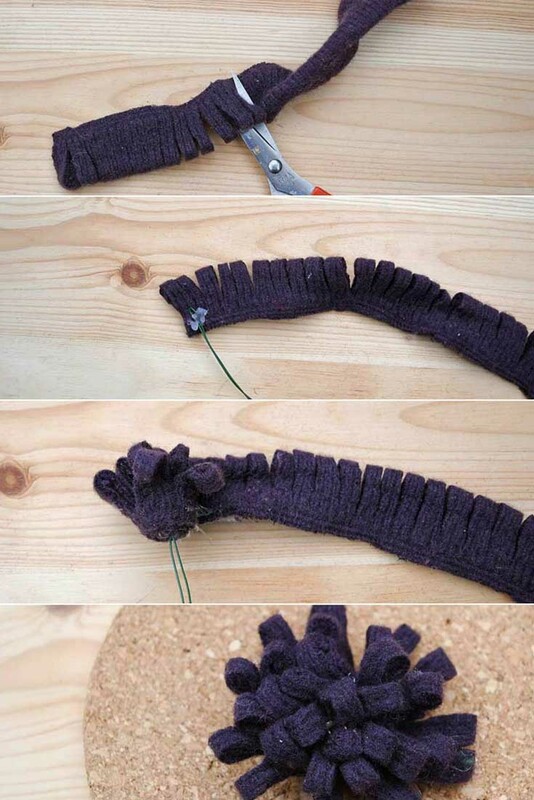 Love to try this DIY project with felt. Thanks for sharing this. Thank you so much. 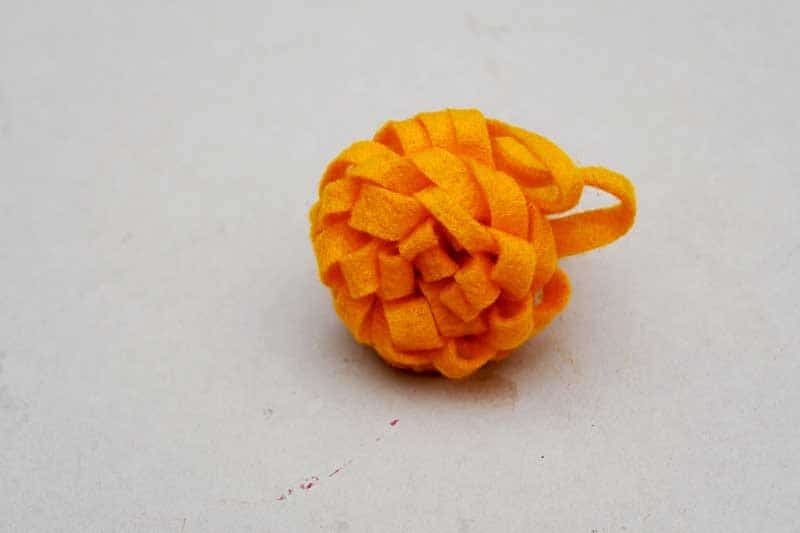 Yes it’s easy to do with craft felt. So cute! 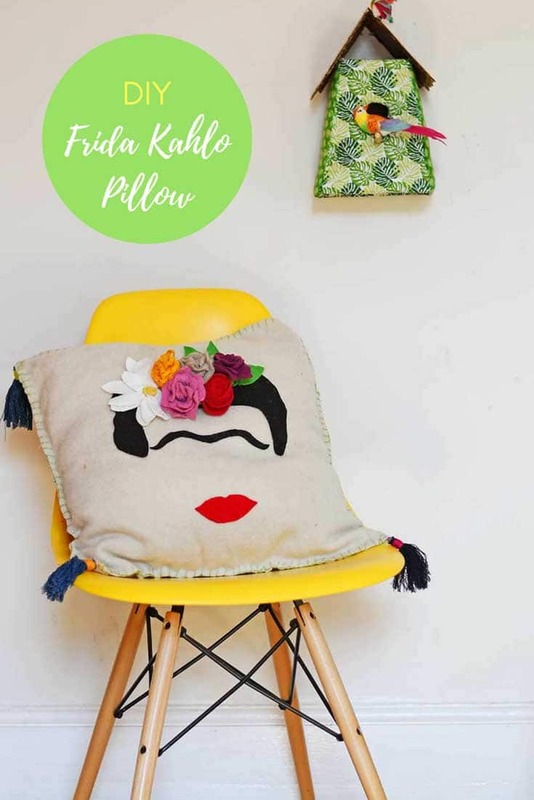 My husband loves Frida and making pillows – I need to share this with him! Thank you. It is simple to make. This is so clever! It’s absolutely adorable. I love the flowers especially. Thank you, Jenifer. I had fun making it and have gone a bit Frida Kahlo mad I’m making more flowers to decorate more things. Yet another fabulous project!!! Super cute! !